The Car-Registration.org team knows that nothing compares to that “I just bought a new car” feeling. The immaculate paint job, that indescribable new car scent – nothing seems to stack up. However, we also know that many drivers get the same rush from giving old, non-operational cars a new lease on life. These cars are usually assembled using a combination of old and new parts, and they are commonly called “rebuilt” or “salvaged” vehicles. Depending on the area you reside in, you may or may not be required to register your rebuilt vehicle with the local DMV. A rebuilt vehicle is defined as a vehicle that has been partially damaged or destroyed, but has been rebuilt using a variety of new and original parts. Rebuilding vehicles is usually seen as a hobby, and most of these vehicles are obtained due to the fact that they were damaged so severely that insurance policies would not cover them. Many drivers choose to rebuild classic vehicles for their private collection, while others are content with rebuilding virtually any car. Whatever one’s reason for rebuilding, a new title is almost always needed, and most owners will need to register their vehicle eventually. Fill out an application for a title/registration at your state’s Department of Motor Vehicles office. Submit any previous bills of sale to the DMV. Have the vehicle professionally inspected to ensure that it is safe to operate. Undergo any other necessary inspections. Pay a registration fee and any other fees required by your state’s DMV. 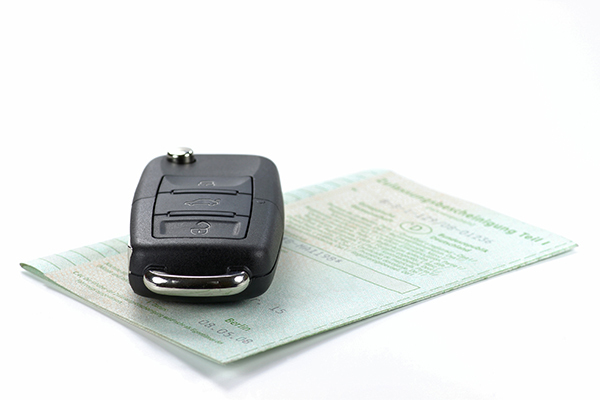 The steps required to register your rebuilt vehicle may vary slightly from the ones listed above. The experts at Car-Registration.org recommend that the owners of salvaged vehicles contact their local DMV office for more information regarding rebuilt cars. Depending on where you live, you may need to prove that the parts you used to rebuild your vehicle were obtained legally. This may be done at the first inspection, or you may be required to submit physical evidence to your state DMV. The inspection will also ensure that important parts of your car, such as the headlights, brakes and transmission are working properly. If any mechanical errors are discovered during your inspection, you may have to delay driving your car until they are repaired. Before taking your rebuilt vehicle on the road, Car-Registration.org experts strongly recommend contacting the DMV in your state first. This will prevent any legal issues in the future, and ensure that your vehicle is safe to operate.